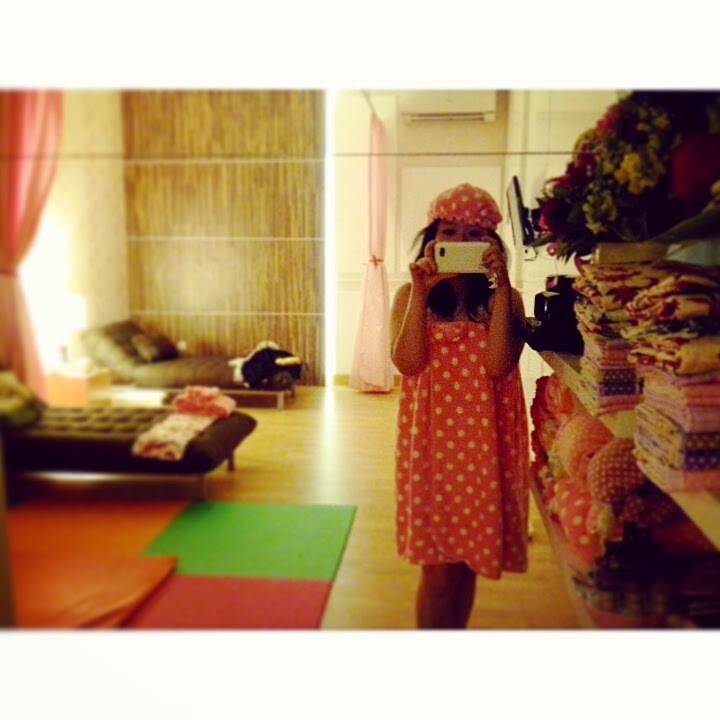 hanny.only: TODDIES MOM - BABY SPA & SHOP FIRST IMPRESSION..
TODDIES MOM - BABY SPA & SHOP FIRST IMPRESSION.. So excited today because i'm writing in my full pampered mind and body. Haha. Do you have any idea how important it is for us to just sit back and relax once in a while? Well, i haven't done that since Clav was a new born, and he's 16 months now. Sigh! We need to pamper ourself in order to get rid of any stress, so we could start fresh again and be more productive. I do have a strong beliefs in that. 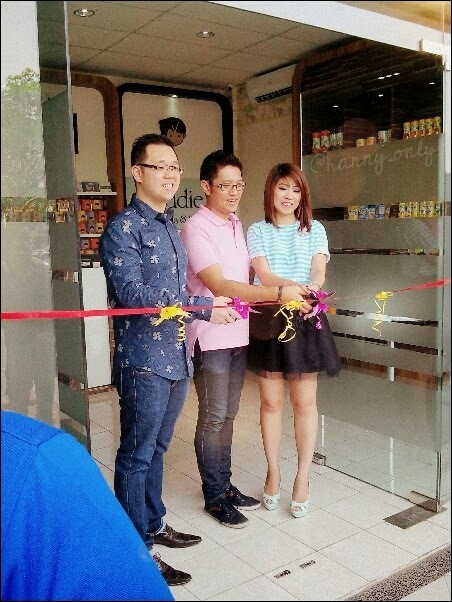 Last saturday, i was invited by Shanty and Raymond to their Toddie Mom, Baby and Kids Spa grand opening at Gading Serpong, Tangerang, Banten. 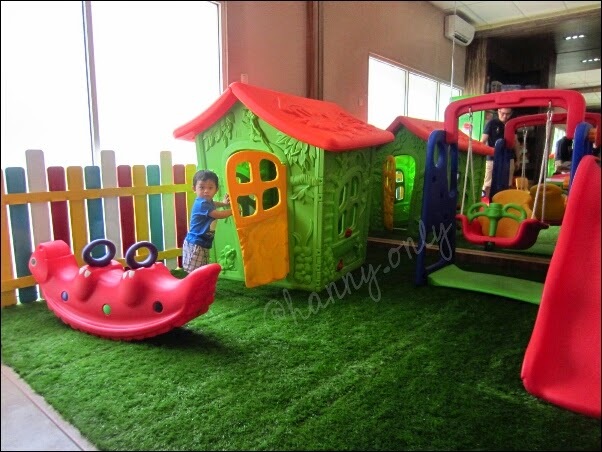 Originated in Surabaya, Toddie is one of the famous baby spa franchise here in Indonesia. Curious, i tried their famous services here, for me and Clav. While wait for his massage turn. Here we go, he got organic massage done by a certified therapist. Using organic olive oil, that's non - alergic and save for your baby's delicate skin. Guess what, although he's jumping around here and there (he is curious, like that), he really enjoyed his massage. 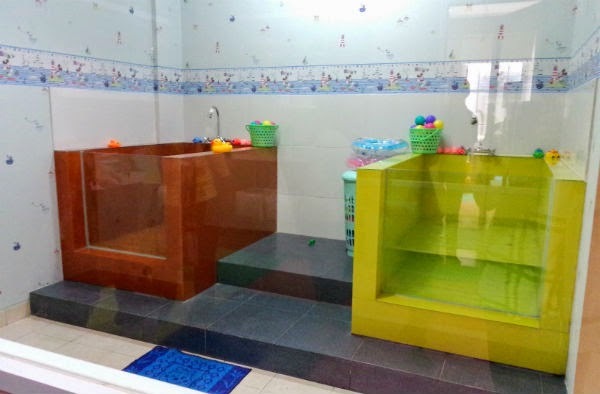 For babies from 4 - 14 months, the therapist would suggest to do a swim session first with warm comfy water and fun toys before move along with the massage. But since Clav is already 16 months, he just gonna get the massage. Tips from the therapist is to do this once every one or two weeks, since the massaging will expedite the blood circulation and relaxes all the muscle tensions. This will promote a good night sleep and better appetite too. Well, those are my problems indeed. Clav is a very active baby, and need no professional to figure he should have muscle tensions here and there. 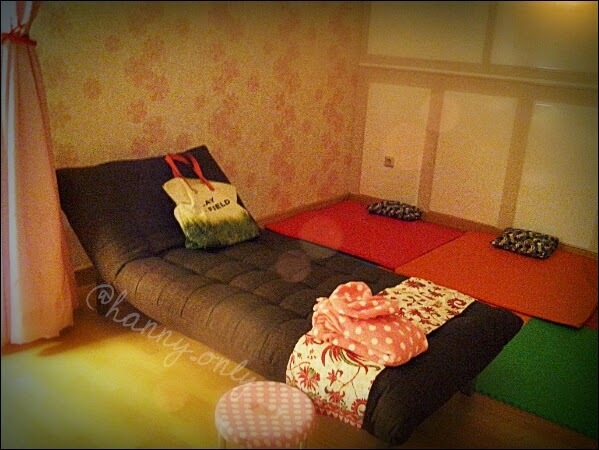 Here's the "moms" massage area. 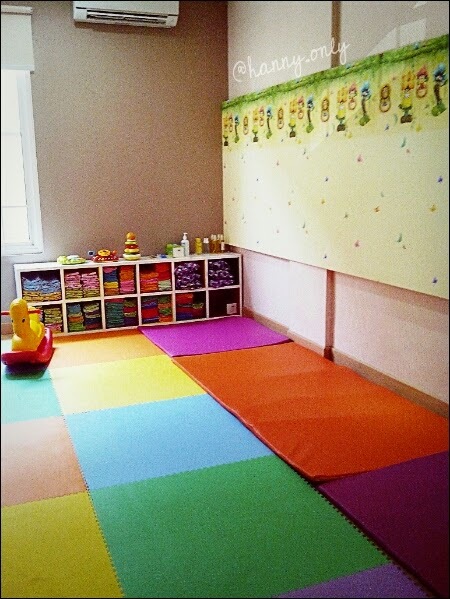 Includes the baby area, so mom and her kid could have a nice sessions together. Well, if you have a new born or simply a calm toddler, this is a great option. Haha. Bit worried though since i heard babies screamed once in a while. I was afraid it was Clav's. And when i go out, they said it was other babies and my son acted all nice and calm. Whatttt??? Well, the massage already did the magic. Yay! Because all the tensions are gone, i can see that now Clav is more calm and have less tantrums (but still curious and super active, though). Wow, at first i didn't have expectations about what if this massages would have any affect on my son. But seeing with my own eyes, how calm he was, slept better and ate more, made me want to do this more often. Regularly. Because if they're in pain or have sore mucles here and there, it would lead to tantrums, since it's their only way to express it. Ok, so the point is, i will do this more. I love Toddies' services. They also have at home treatment, so convinient. Very nice employees and with all the interesting packages and great deal discounts, what's not to love. See my sleepy face, that's RELAXED expression. Haha.